LOS ANGELES, CA – Today, FOX Sports announces former UFC bantamweight champion Dominick Cruz (@DominickCruz) joins blow-by-blow announcer Jon Anik (@Jon_Anik) to call FOX UFC FIGHT NIGHT: JACARE VS. BRUNSON 2 live from Charlotte on Saturday, Jan. 27 (8:00 PM ET). Victor Davila (@mastervic10) and Mario Delgado (@mariodelgadorzm) have the call in Spanish on FOX Deportes. UFC welterweight champion Tyron Woodley (@TWooodley) and former middleweight champion Michael Bisping (@Bisping) work as desk analysts alongside lead UFC host Karyn Bryant (@KarynBryant) on FS1, and Curt Menefee (@CurtMenefee) on FOX. Reporter Megan Olivi (@MeganOlivi) reports from Charlotte for Friday and Saturday’s coverage. More than five years after their first bout, surging middleweight contender Derek Brunson (18-5) gets a chance to even the score with fellow 185-pound standout Ronaldo “Jacare” Souza (24-5, 1NC) in the five-round main event. After back-to-back knockouts of Dan Kelly and Lyoto Machida, No. 8-ranked Brunson is showing the best form of his career heading into his rematch with Jacare, who stopped him in a 2012 matchup in Strikeforce. Currently ranked No. 3 in the middleweight division, Brazil’s Jacare has earned Performance of the Night bonuses in his last two wins against Vitor Belfort and Tim Boetsch. FOX UFC analyst Kenny Florian believes Brunson and Jacare’s styles make for a very exciting fight: “These are two finishers, through and through. Brunson, with those heavy hands. He’s fighting another southpaw in Jacare Souza, who is very heavy handed as well. But Jacare is also known for his ground game. Both these guys can end this fight in an instant either on their feet or on the ground. I can’t wait for it.” Watch Florian preview the fight from last Sunday’s FS1 UFC 220 POSTFIGHT SHOW here. 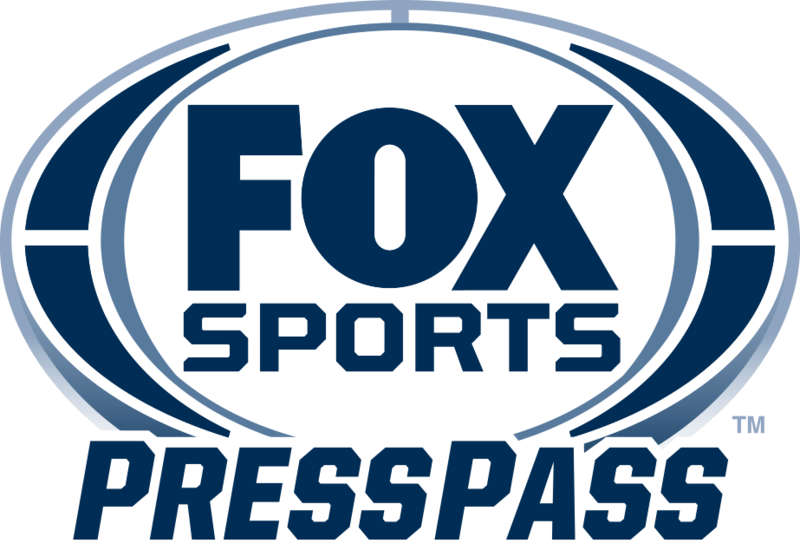 FOX Sports UFC programming starts on Wednesday, Jan. 24 with UFC TONIGHT airing at a special time, 7:00 PM ET, on FS2 with host Florian and guest host Woodley interviewing Brunson about his Saturday headliner. UFC strawweight champion Rose Namajunas joins in studio as well. On Friday, Jan. 26 (6:00 PM ET), the FS1 UFC WEIGH-IN SHOW begins with Bryant, Woodley and Bisping discussing the fighters, and Olivi reporting. The same crew gets things started on Saturday at 4:30 PM ET with the FS1 UFC FIGHT NIGHT PREFIGHT SHOW, previewing the evening’s fights. The three-hour UFC FIGHT NIGHT PRELIMS on FS1 and FOX Deportes begin at 5:00 PM ET and feature six thrilling bouts. Lightweight Erik Koch (15-5) and Bobby Green (23-8-1) collide. No. 15-ranked featherweight Mirsad Bektic (11-1) takes on Godofredo Pepey (14-5), while No. 11 bantamweight Katlyn Chookagian (9-1) moves to flyweight to face No. 9 flyweight Mara Romero Borella (12-4, 1NC). No. 11-ranked strawweight Randa Markos (7-6) battles Juliana Lima (9-4). Justine Kish (6-1) and Ji Yeon Kim (6-1-2) face each other at 125 pounds. Vinc Pichel (10-1) and Joaquim Silva (10-1) open the PRELIMS with a lightweight scrap. Saturday’s two-hour main card (FOX and FOX Deportes, 8:00 PM ET), also features No. 11-ranked featherweight Dennis Bermudez (17-7) and Andre Fili (17-5). Lightweights Jordan Rinaldi (13-5) and Gregor Gillespie (10-0) square off. Plus, Drew Dober (18-8, 1NC) and Frank Camacho (21-5) open the main card with a lightweight bout. Saturday’s action wraps up after the main event with the UFC FIGHT NIGHT POSTFIGHT SHOW on FS2. Leading up to the fights, UFC fighters offer unique, behind-the-scenes clips on FOX Sports PROcast and on the FOX UFC social pages. Follow @UFConFOX on Twitter, Facebook and Instagram for all updates throughout the #UFCCharlotte fights Saturday. Viewers can live stream the UFC shows on FOX Sports GO, available in English or Spanish through the FOX, FS1 or FOX Deportes feeds. The shows are available on desktop at FOXSportsGO.com and through the app store or on connected devices including Apple TV, Android TV, Fire TV, Xbox One and Roku. In addition, all programs are also available on FOX Sports on SiriusXM channel 83 on satellite radios and on the SiriusXM app.